Love Ya Mutt Dog Shampoo is formulated with a natural blend of Macadamia Oil + Vanilla to fight germs and leave your pet with deliciously soft and fresh smelling coat. Go on….. treat your fur baby to a little bit of indulgence. INGREDIENTS Aqua, Sodium Methyl Cocoyl Taurate, Cocamidopropyl Betaine, Decyl Glucoside, Salt, Dimethicone, Coco-Glucoside, Glyceryl Oleate, Phenoxyethanol, Ethylhexylglycerin, Hydrolyzed Quinoa, Polyquaternium-10, Potassium Sorbate, Fragrance, Olea europaea (Olive) Fruit Oil*, Linum Usitatissimum (Linseed) Seed Oil*, Squalane, Helianthus Annuus (Sunflower) Seed Oil*, Citric Acid, Hippophae Rhamnoides (Seabuckthorn) Seed Oil*, Rosmarinus Ofﬁcinalis Leaf Extract* Denotes Certified Organic IngredientsMade in Australia. 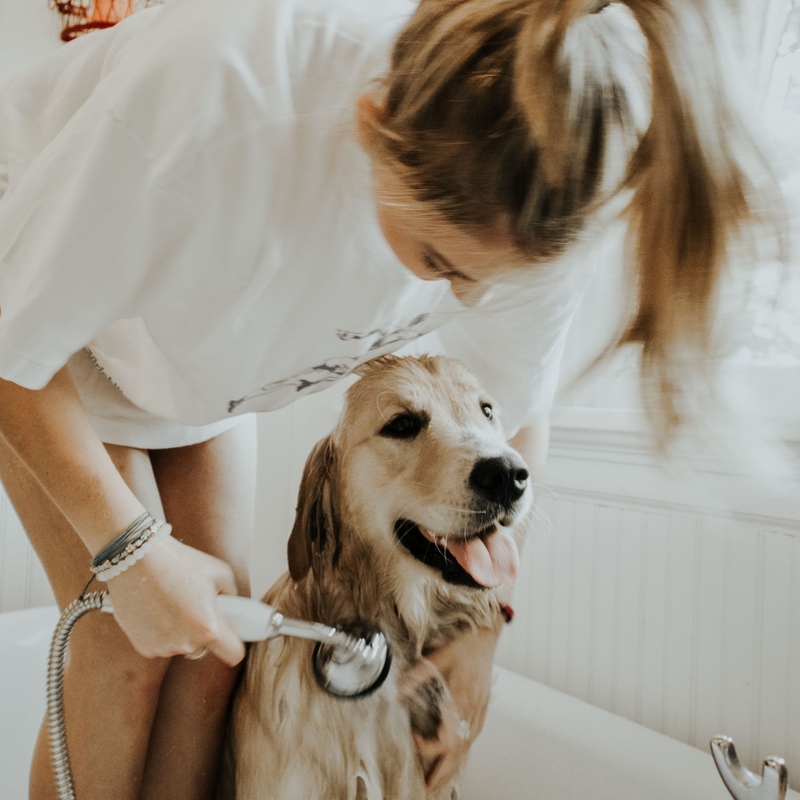 All of our Pet Care products are produced free from sulfates, parabens, ethoxylates, paragons, propylene glycol, petrochemical cleansers, phthalates, DEA and artificial colours. Not tested on animals.